If you want to live a life of passion, joy, abundance and purpose, you are in the right place. 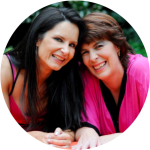 Goddessense is a very special ‘place’ where we, as women who are ready for a more amazing life, get together and teach and support each other on our journey to be our very best, to unleash our feminine power and live our truth. We share our experiences, motivate and uplift one another and sometimes, when needed, remind you of your strength and beauty. As goddesses we hold the power to create our wildest dreams. We know that it takes both courage and vulnerability to step up and be who you are truly meant to be. with purpose, with passion, abundance and pleasure. A woman in touch with her inner goddess.